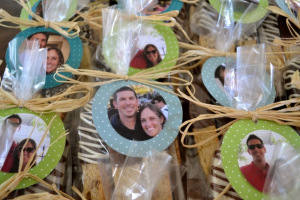 If you enjoyed these personalized cupcake toppers, I bet you will love these personalized favor tags, too! 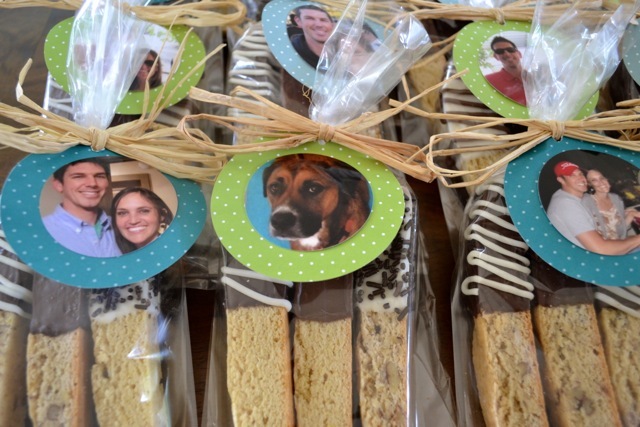 These were also for a wedding shower, so all of the pics are of the bride- and groom-to-be. I also included a few of their sweet doggie, Hank. Ar. 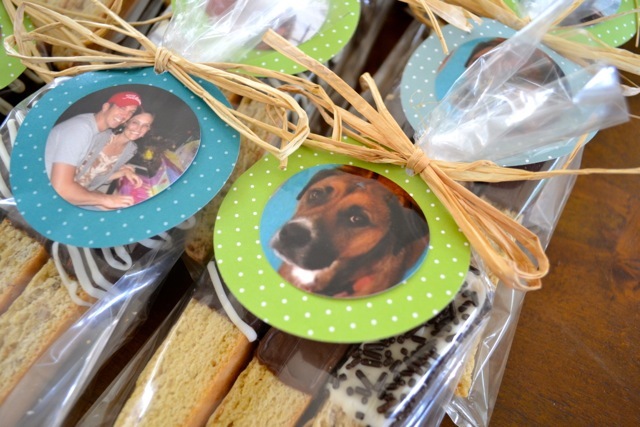 To make them, start by following the instructions for the personalized cupcake toppers, except you won’t need the wooden stirring sticks or the styrofoam board. In addition to glue, scissors, paper, pictures, and paper punchers, you will also need gift bags with twist-ties and a small hole punch. 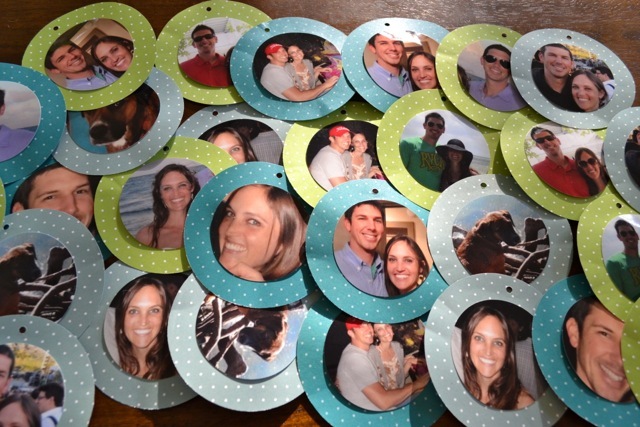 Once you have finished gluing the pictures on the paper, simply punch a small hole in the top of the paper circle. 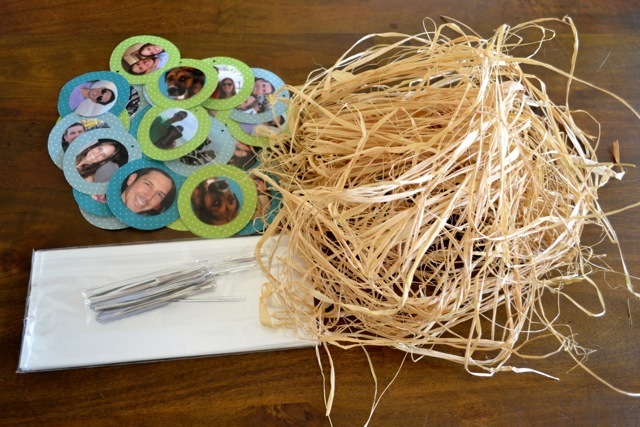 This is where you will insert the ribbon (or raffia) to tie the tag onto the bag. I used raffia because the shower was all very “green,” in keeping with the environmentally-conscious bride. Love her! 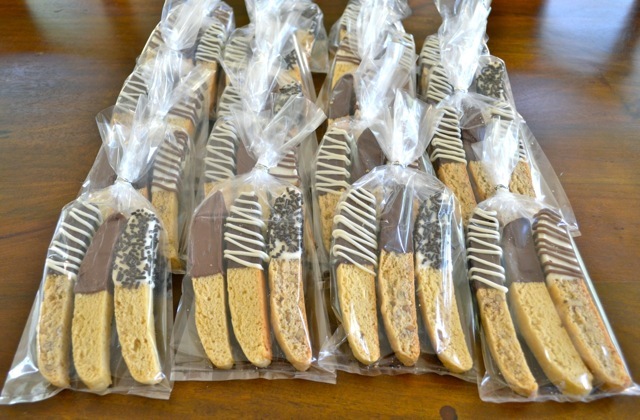 Put a few treats in each bag and tie each bag with a twist-tie. Then tie on the tags and make a bow. Ta-da! This is such a fun way to celebrate the couple before the big day. 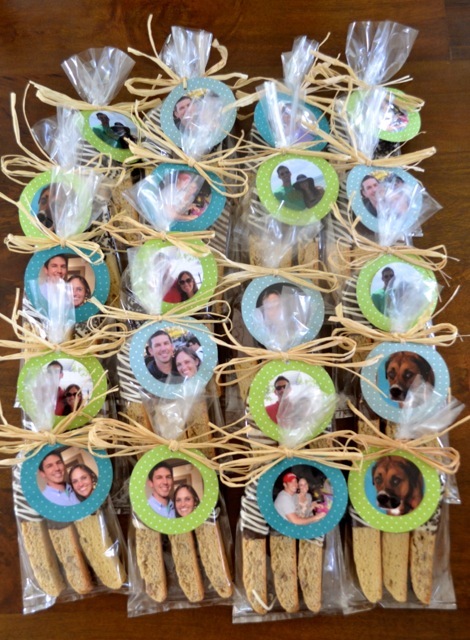 They would also be perfect for wedding-favor tags. 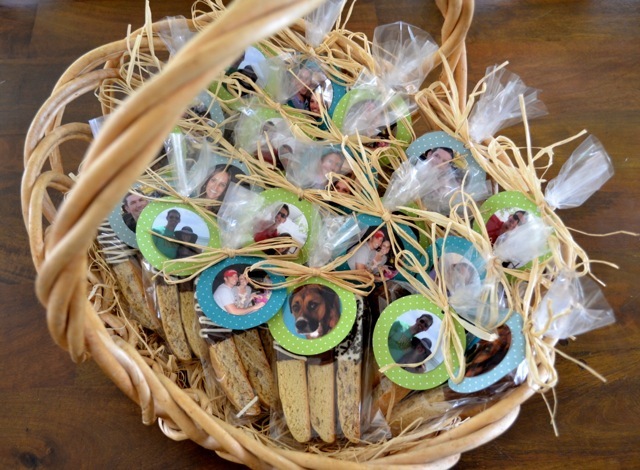 Or really any occasion when you want to add a special personal touch! 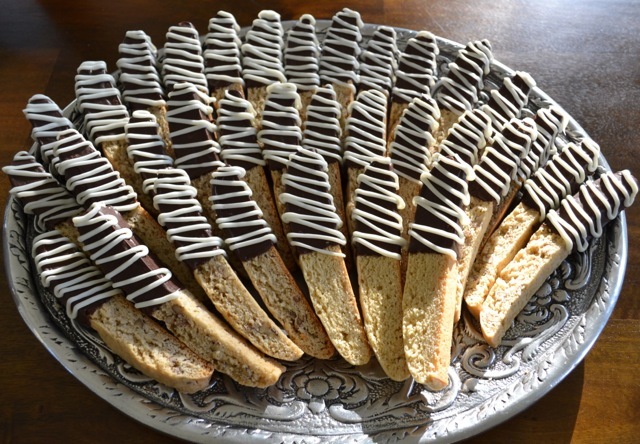 You can set these on a tray or in a basket for display. Hope you give them a try!